Mohamed Sakr (msakr) added a comment to D4644: fix denoiser negative index crash in CPU kernels. Can you figure out why the indices are negative in the first place? This seems like a workaround more than a fix for the real issue. I would expect it to only loop over pixels within bounds, not use zero for pixels outside of bounds. Brecht Van Lommel (brecht) added a comment to T63313: Access violation - CUDA crashes Blender. The only change between these builds was in adaptive subdivision, where it was not subdividing with the right detail in some cases. 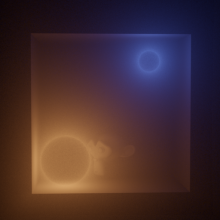 It may be that this caused finer subdivision and resulting higher memory usage, after which it runs out of memory for denoising. Brecht Van Lommel (brecht) added a comment to D4644: fix denoiser negative index crash in CPU kernels. This seems like a workaround more than a fix for the release issue. LazyDodo (LazyDodo) resigned from D4644: fix denoiser negative index crash in CPU kernels. Acrivec Cevirca (Acrivec) added a revision to T63313: Access violation - CUDA crashes Blender: D4644: fix denoiser negative index crash in CPU kernels. Acrivec Cevirca (Acrivec) added a task to D4644: fix denoiser negative index crash in CPU kernels: T63313: Access violation - CUDA crashes Blender. Yes, I'm using denoising - after disabling blender stopped crashing. Turning on again - crashing. Brecht Van Lommel (brecht) triaged T63313: Access violation - CUDA crashes Blender as Needs Information from User priority. Please attach a .blend file to reproduce the issue. Are you using GPU or CPU + GPU rendering? Acrivec Cevirca (Acrivec) added projects to T63313: Access violation - CUDA crashes Blender: BF Blender: 2.8, Cycles. Sebastian Parborg (zeddb) assigned T63287: CUDA fails to reinitialize to Brecht Van Lommel (brecht).